WOW!, IMPRESSIVE - EVERY STEP, UPGRADED K. HOVNANIAN HOME, EXTENSIVE WOOD FLOORING. UPGRADED THROUGHOUT, PRIVATE CUl-DE-SAC STREET. SPACIOUS LANDSCAPED BACKYARD. 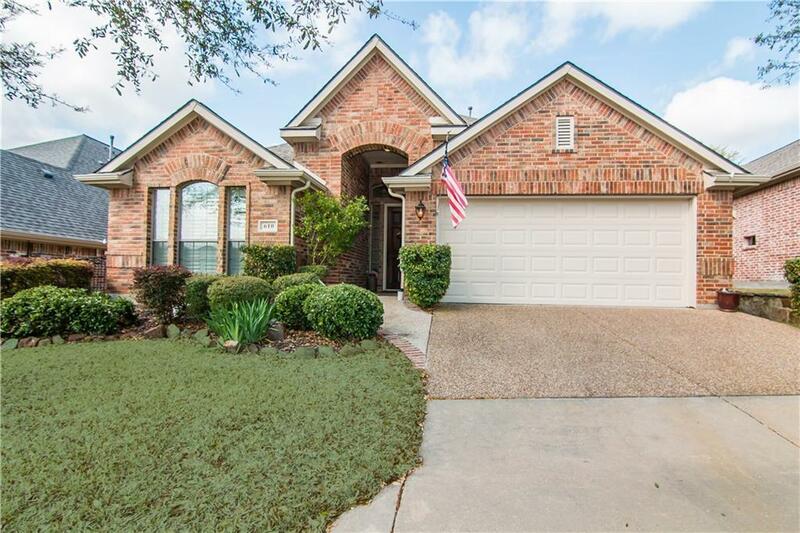 HOME FEATURES: Hardwood Floors, Plantation Shutters, Spacious Formal Dining, Transom Windows, Crown Molding, Study-Double Doors, Designer Touches. GOURMET ISLAND KITCHEN: Gas Cook-Top, Wine Cooler, Sit-Down Island, Granite Counters, SS Appl, Glass Front Cabinets, Under-mount Sink, Double Pull-out Shelves, Under Cab Lighting, Large WIP. ELEGANT & SPACIOUS MASTER SUITE: Private View, Separate Vanities, WIC, Separate Shower, Pull-out Shelves, Oil Rubbed Bronze Fixtures. SYSTEMS: HVAC SEER 16 (2015), ROOF (2015) WH (2017), Wide Driveway, Original Owner.